Not every great guitar player is also a great guitar teacher...... Justin is both! 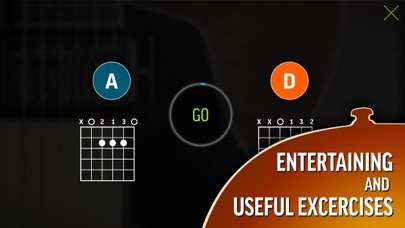 I can’t recommend this enough for anyone wishing to learn guitar at your own pace. I feel as though I know Justin and am grateful each time I log in for his smiling face and voice, yes smiling voice — and his encouraging words. 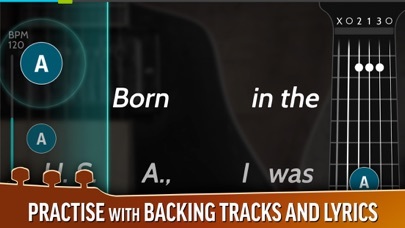 He really has convinced me that I can do this, that I can learn guitar if I put in the time and work. And gratefully, under his expert and kind tutelage, I am learning guitar and having a lot of fun doing it! My wife got me a guitar for Christmas 43 years ago and life got in the way until I retired.My neighbor told me about Justin Guitar and I am fulfilling her dream of me playing guitar.It’s easy to follow and you can take your time and really learn what you’re doing. I love this app and Justin as well as he is a great teacher. I have been using this app for two weeks now and tried Fender play first. With this app and Justin’s teachings I’m learning faster and really feel like I’m getting now. Absolutely great app and great teacher. Thank you Justin Guitar. Working with this application and support videos for about 4+ months. Owned my old Yamaha for about 40 years but never really had time to work much on lessons. I really appreciate Justin’s teaching style. His advice and sense of humor encourage students to develop skills before moving on. 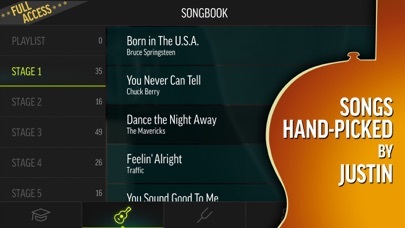 The song variety is set up to support repetitive learning. I wish I had access to this when I was twenty. This is a great way to learn on a persons own schedule. I look forward to working through this and the next course. It’s never to late to try to improve playing. I have enjoyed it immensely. Fantastic app, at least as far as beginner goes (that’s me) I have tried many other places and video but this is money well spent. Very happy, thank you so much, you have truly kept me going at times. Learning to play guitar at 56! Started with guitar books and found them to be boring. This app makes learning fun. I was going to write my own review but then read LFlory review and they have said exactly what I would have written. 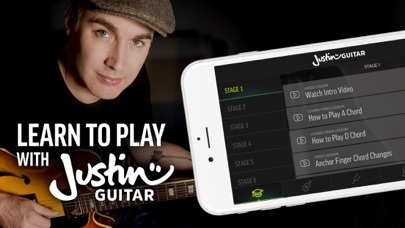 PLEASE if you want to learn this great instrument follow Justin's course and it will come together for you. Thanks Lflory for making my job easier. I was looking for a systematic online guitar tutorial that I could do at my own pace, that teaches chords, strum patterns, and picking patterns, plus how to read tabs, how to play songs, and how to play with other musicians. This is it, and you can try it for free. This app gives you opportunities to practice the online lessons, or you could use the premium membership as a stand alone program. 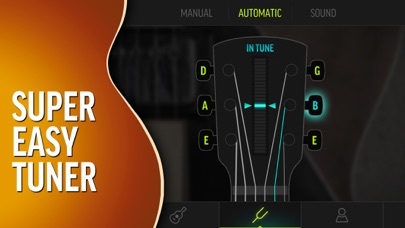 The free version includes a series of beginner lessons, guitar tuner, dozens of karaoke style practice songs, and a chord change practice page (how many chord changes can you do in a minute?) Certainly worth downloading, and worth paying for if you're serious. Much less costly than private lessons. This instructor teaches in a way that makes learning guitar fun and interesting. His instructions keep the learner motivated and focused.